Navigating Corn Mazes | Fit Families | Kids VT - small people, big ideas! Corn mazes may seem like an easy way to pass the time on a lazy fall afternoon. But according to Mike Boudreau, owner of the Great Vermont Corn Maze in Danville, people often underestimate the physical and mental stamina they can require. Just like ski slopes, corn mazes vary in difficulty, Boudreau explained in an email. He has two mazes on his property — an easy one for people of all ages and abilities, and a challenging one that, at 24 acres, is the largest in New England. This is the 18th year that Boudreau has run the operation on his family's third-generation dairy farm, so he knows his way around a maze. Still, first-timers often ignore his advice to work together, keep people you're with in sight and be observant. When newbies notice that some "mazers," as he calls them, have worked for hours to get out, they realize that it's "obviously much more of a challenge than expected," Boudreau writes. That's when participants are ready to listen to his wise words. Boudreau enjoys watching mazers return over the years. "It has been great to see a young couple first come mazing as a date, then as newlyweds, then pregnant, then with a kid in a backpack," he writes. There is one group Boudreau doesn't recommend attempt his maze: teenagers. 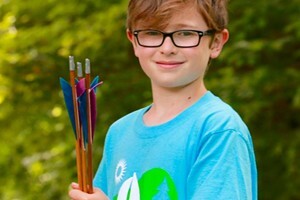 His website states that 90 percent of teens give up quickly. "Every day, we meet people who say ... 'You were right, my teen quit and took the exit after just 30 minutes and is sitting in the car waiting for us,'" Boudreau explained in an email. Up for a challenge? 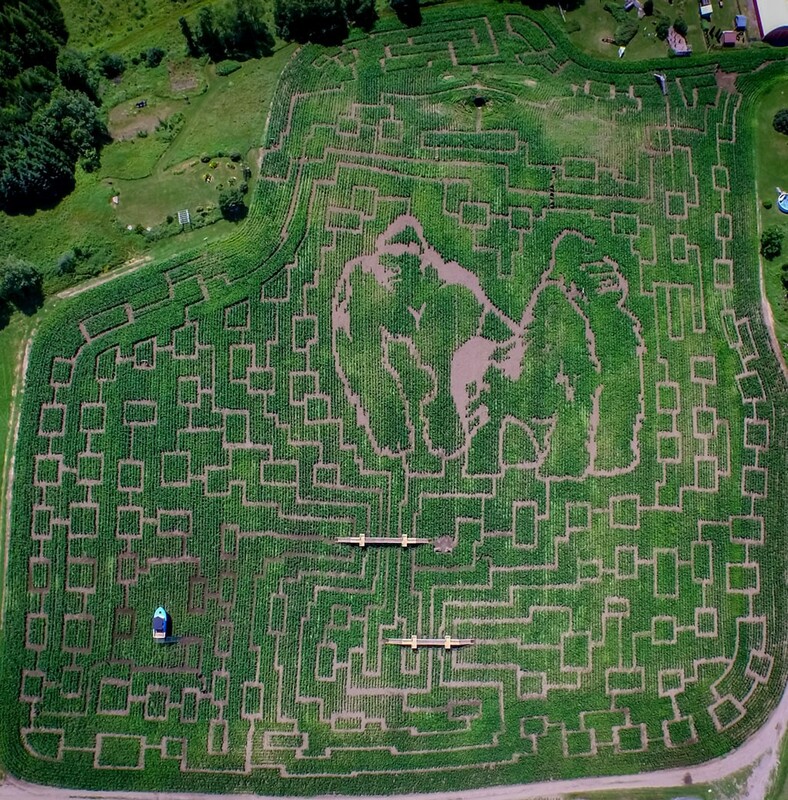 Below you'll find info on local corn mazes — including the Great Vermont Corn Maze — to help you plan a trip. The first half of September is the best time to visit because the corn is tall, thick and green, advises Boudreau. Also, wear comfortable shoes and arrive early. After all, it might take a while. This maze has a new design every year. With three miles of trails, it is a serious challenge; visitors should be able to walk for about an hour without sitting down to rest. If you prefer something less intense, try the smaller maze on the property. The theme of this year's 12-acre maze — which features a built-in sound system and a series of bridges — is "Race to the White House." Toddlers can explore a mini maze and OK Corral play area and enjoy the farm animals in the livestock barn. On Saturdays, the maze is open late and admission includes a glow stick and marshmallow toasting. 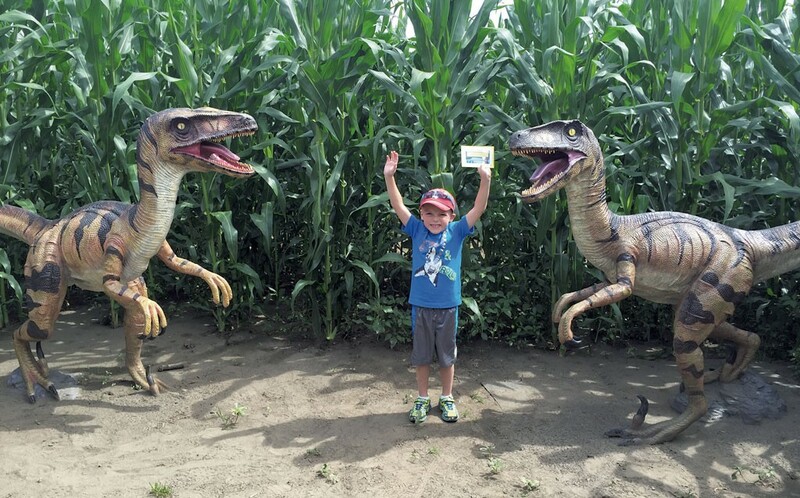 Visitors can take a one- or two-mile jaunt through seven-foot walls of corn, tracking their progress by punching a card at numbered stations scattered throughout the course. Don't miss the farm market, greenhouse, and berry and pumpkin picking on the 350-acre farm. The maze takes approximately one hour to complete. Visitors can pet and feed baby calves and goats, as well. Visitors navigate this six-acre maze, designed in the shape of the fort, looking for history clues and collecting stamps. A short maze for children ages 4 and under, with adult supervision, provides an easier option. This is the second year the fifth-generation farm has been operating a corn maze. On the property, visitors will also find calves for petting and feeding, chickens, and fruits, veggies and maple products for sale. Picnic tables provide a good place for lunch, or take a hike up to the pond along one of the walking trails.